Our new office is ready. We are swapping a 4th Floor near Cannon Street station to a 4th Floor near Fenchurch Street station. It must be a step up as Cannon Street isn’t on the Monopoly board… The view is certainly better from America Square. The new space at 2 America Square gives the company room to expand. 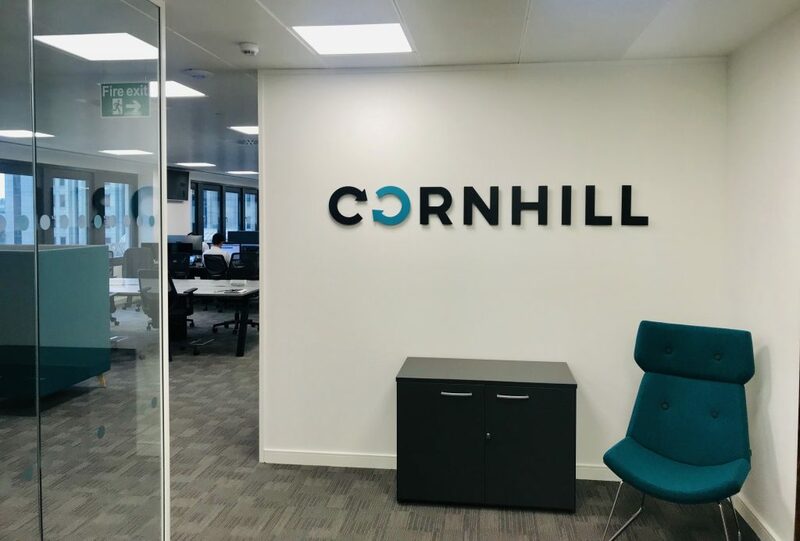 It has clean lines, a big board room and an open plan kitchen, complete with bone china Cornhill mugs displaying the new branding. Moving office presents an opportunity to explore new ways of working and improve internal communication and collaboration. Combined with the new branding, it should impact staff motivation, boost productivity and attract new talent. A new office is about more than just changing the workplace. It’s a chance to inspire our staff; we hope our clients will feel the benefit – and come and visit us!